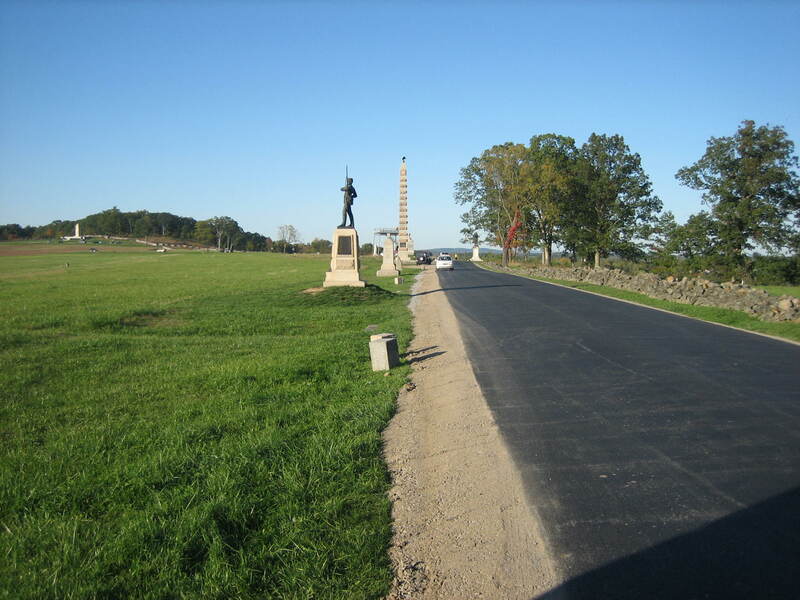 On Friday, most of the dirt and gravel were removed from around the flank markers to the 56th Pennsylvania and the 147th New York on Reynolds Avenue. 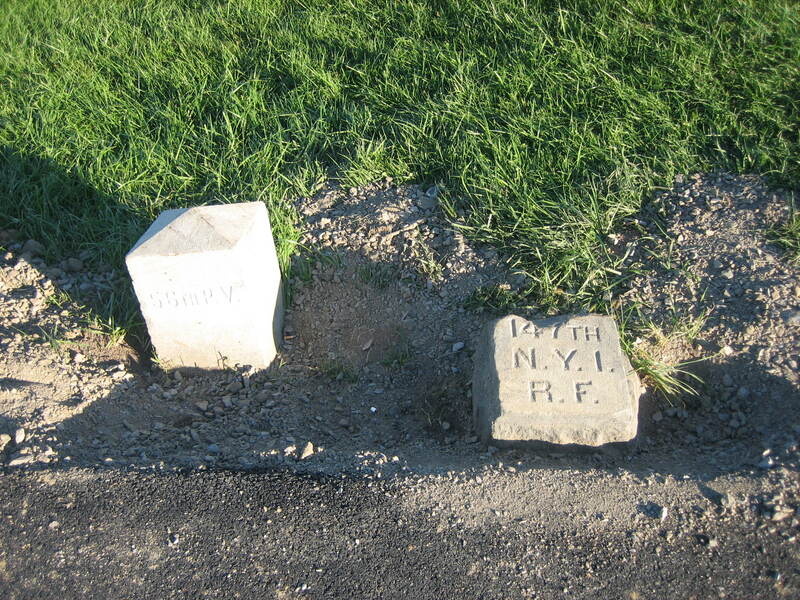 We say “most” because there is still dirt around the monuments, and underneath the dirt that remains, asphalt is still sticking to the marker of the 147th New York. This view was taken from the west facing east at approximately 5:15 PM on Friday, October 10, 2008. Thanks to a concerned public, most of the dirt and gravel were removed from the flank markers of the 56th Pennsylvania and the 147th New York. After being flooded with e-mails, phone calls, and personal visits, the National Park Service finally decided today to not only have the dirt and gravel removed, but to cut back the asphalt by approximately a foot and a half. By late afternoon, the Chief of Maintenance (Facilities Manager) had sent a vague e-mail in response to the concern expressed by many individuals. 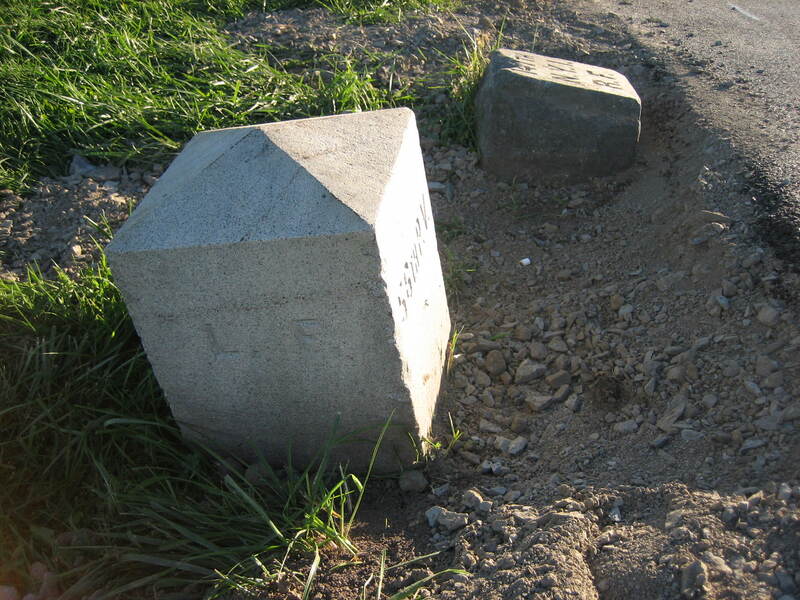 It said that “we have been making plans to correct this from the moment it was discovered which was shortly after the road was paved. We believe that the corrective work will be completed by October 17.” But the e-mail did not explain what that corrective work would be. So we had to go in and ask someone what the “corrective work” would consist of. 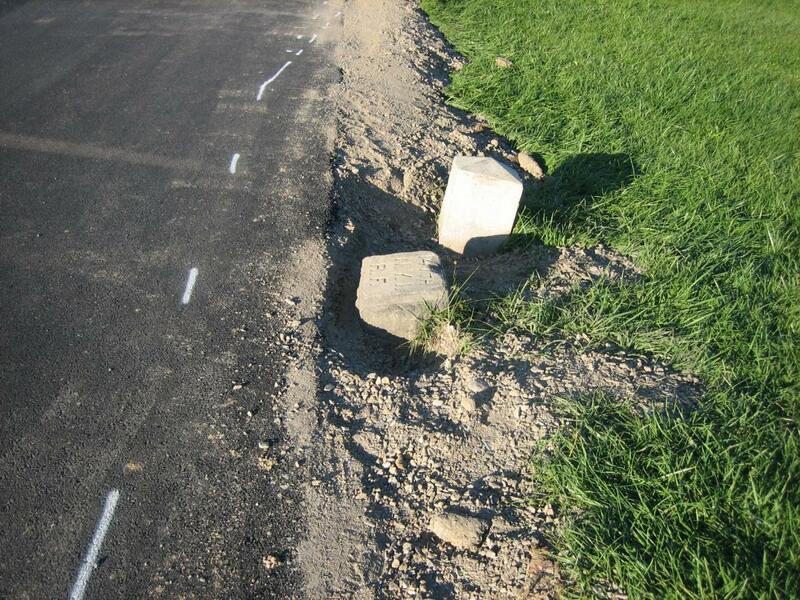 The answer was that instead of moving the markers, the asphalt will be cut back. We also received an interesting tidbit about the process the Park Service went through in getting to this point. 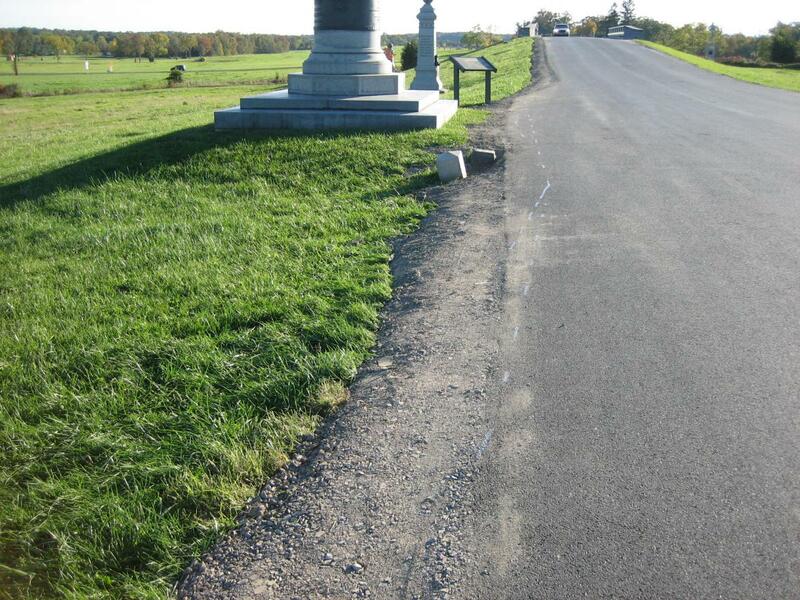 A white line now marks the area where asphalt will be cut back from the markers. This view was taken from the north facing south at approximately 5:15 PM on Friday, October 10, 2008. Thursday morning there was an interesting National Park Service staff meeting. As usual in many National Parks with history as a major theme, it pitted the Historians versus the… well, let’s just call them the “Non-Historians.” This view was taken from the north facing south at approximately 5:00 PM on Wednesday, October 8, 2008. 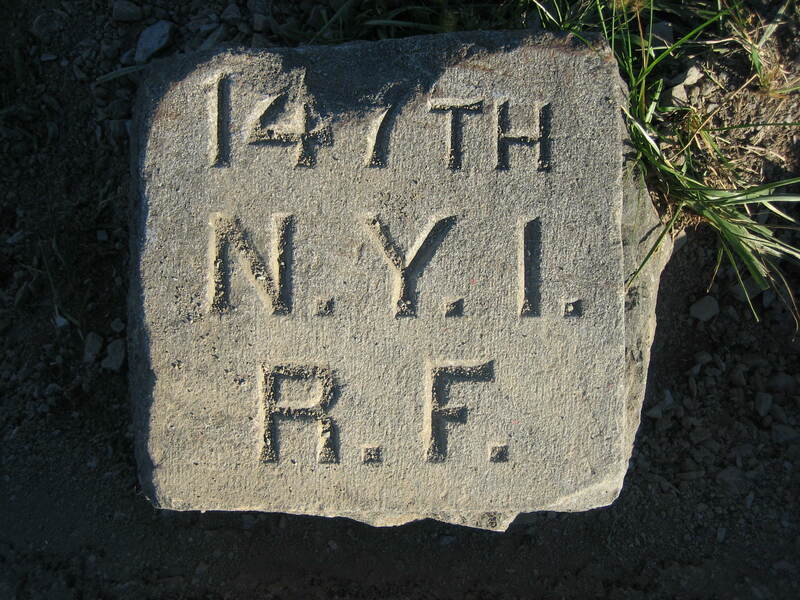 In the meeting, the “Non-Historians” were not very interested in fixing the original problem of asphalt touching the 147th New York flank marker. As one person at the meeting told us, this “ignited a solar flare” among the Historians, and the meeting became very contentious. This view was taken from the northwest facing southeast at approximately 5:15 PM on Friday, October 10, 2008. 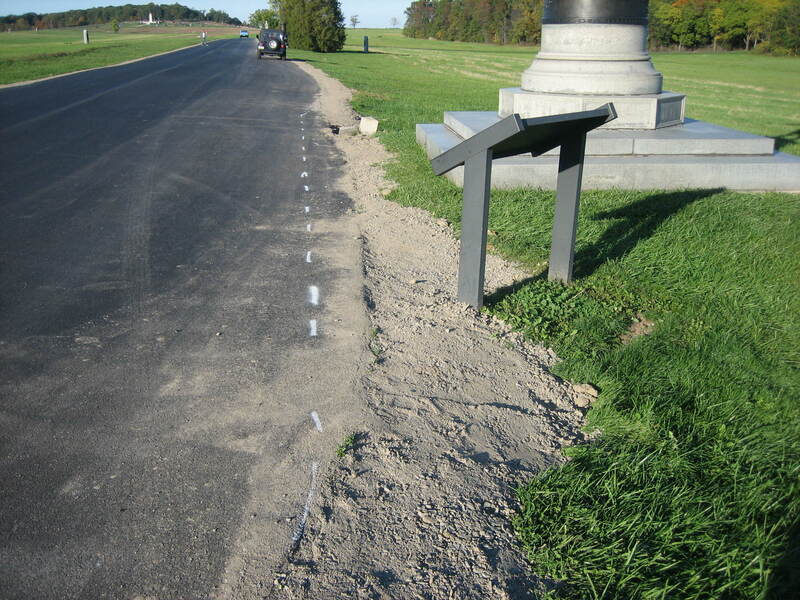 While the tensions were rising in the Visitor Center, the contractors were out on the field dumping dirt and gravel on and around the markers. This view was taken from the south facing north at approximately 5:15 PM on Friday, October 10, 2008. 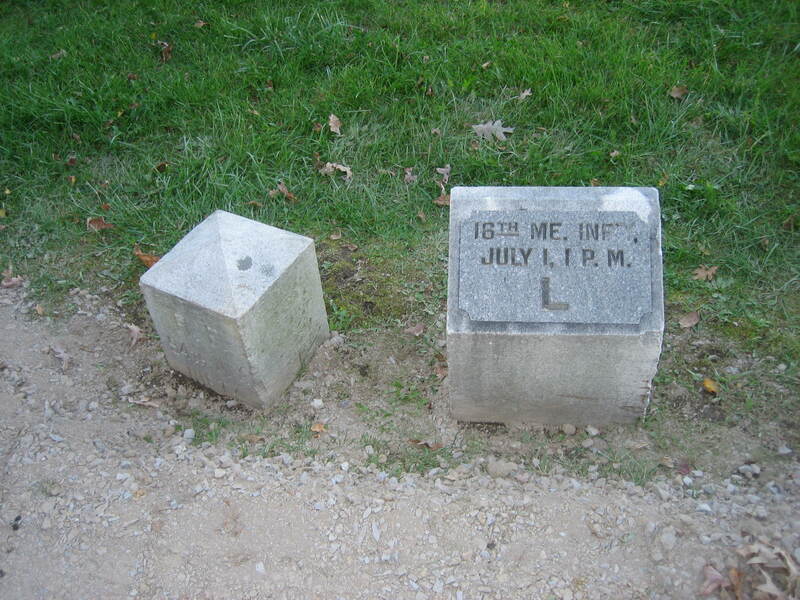 Then the American public found out about the burial detail, became upset, and flooded the NPS, Congressmen, Senators, and media so that there no longer was a choice for the Non-Historians. This view was taken from the west facing east at approximately 5:15 PM on Friday, October 10, 2008. There are still some issues here. 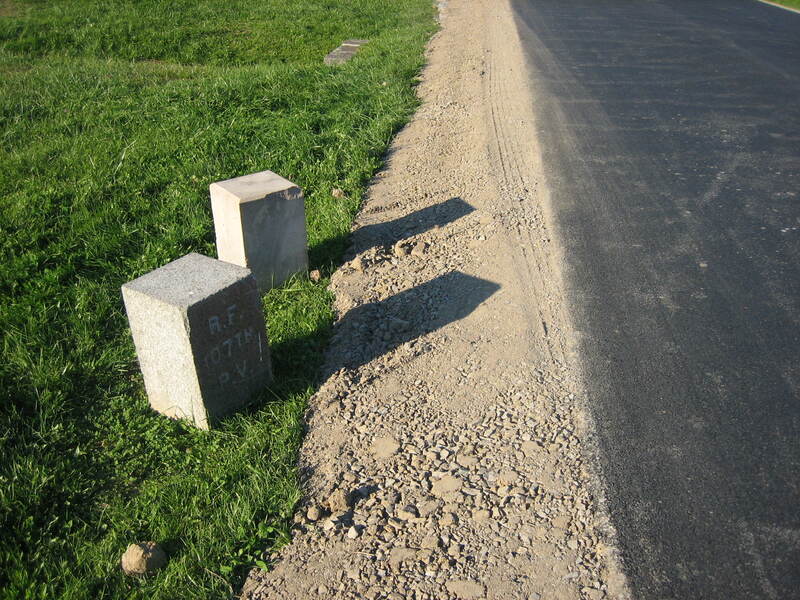 Is a foot and a half going to be enough to keep the markers from being in contact with vehicles? There is still asphalt touching the flank marker to the 147th New York. And will they finish by October 17th or sooner? But positive progress was made today. This view was taken from the north facing south at approximately 5:15 PM on Friday, October 10, 2008. So much progress that the National Park Service became proactive (well for them) and went out to look for problems at other sites before they were reported to Congress and the media. Remember Doubleday Avenue? They have been widening it so much that one of the Licensed Battlefield Guides said that it appears they’re trying to make room to land a 707. This view was taken from the north facing south at approximately 5:15 PM on Friday, October 10, 2008. There are flank markers all along here that had dirt coming very close to them or partially burying them. 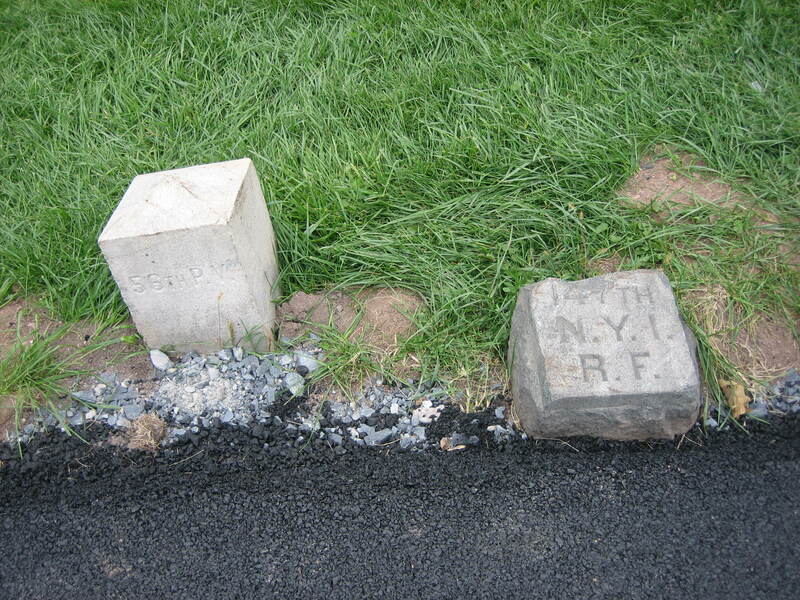 We didn’t have time to look at them closely yesterday, as we were rushing back to put up our post on the Reynolds Avenue markers. This view was taken from the south facing north at approximately 5:15 PM on Friday, October 10, 2008. 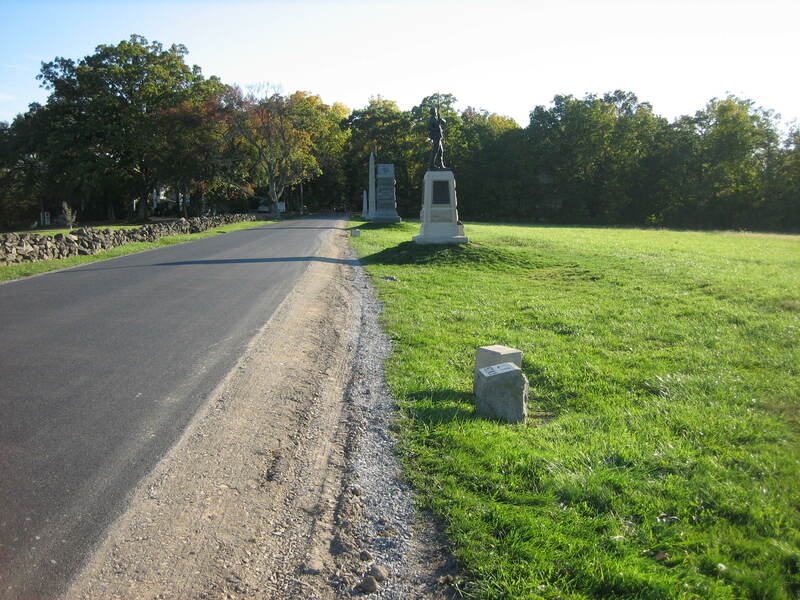 Today the Park Service made sure that they cleared the dirt from around the flank markers to the 94th New York (monument in right background) and the 16th Maine near the Doubleday Inn. This view was taken from the north facing south at approximately 5:15 PM on Friday, October 10, 2008. 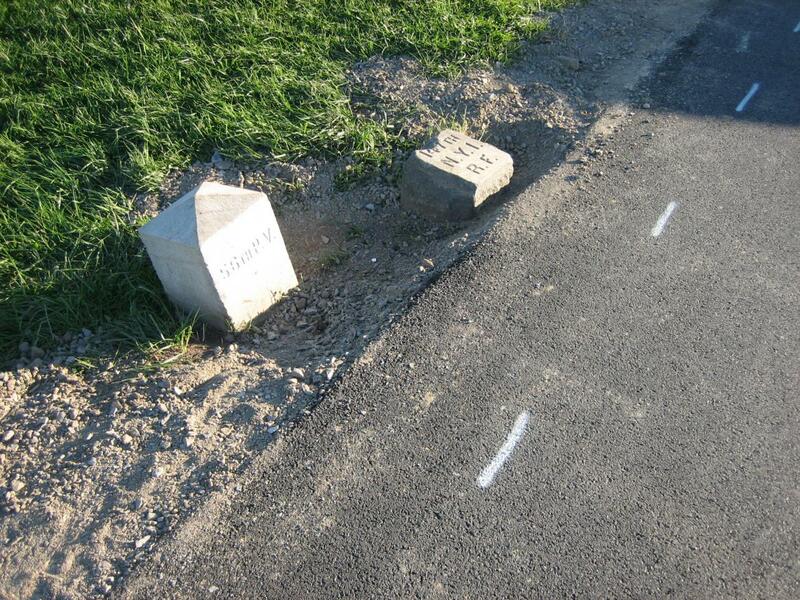 The dirt and gravel partially buried these markers yesterday, but they’ve been cleared today. This view was taken from the east facing west at approximately 5:15 PM on Friday, October 10, 2008. 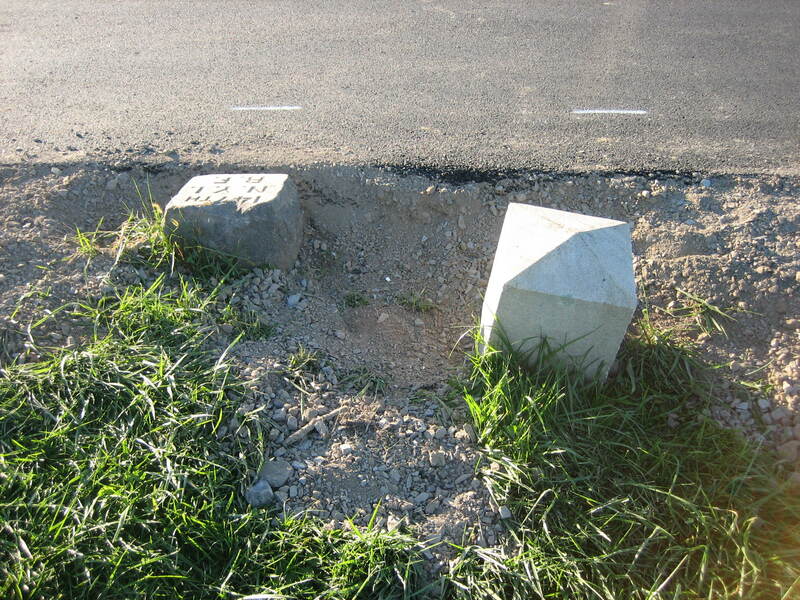 But look how far the dirt and gravel extended to the left (west) of the markers before it was cleared from around them today. 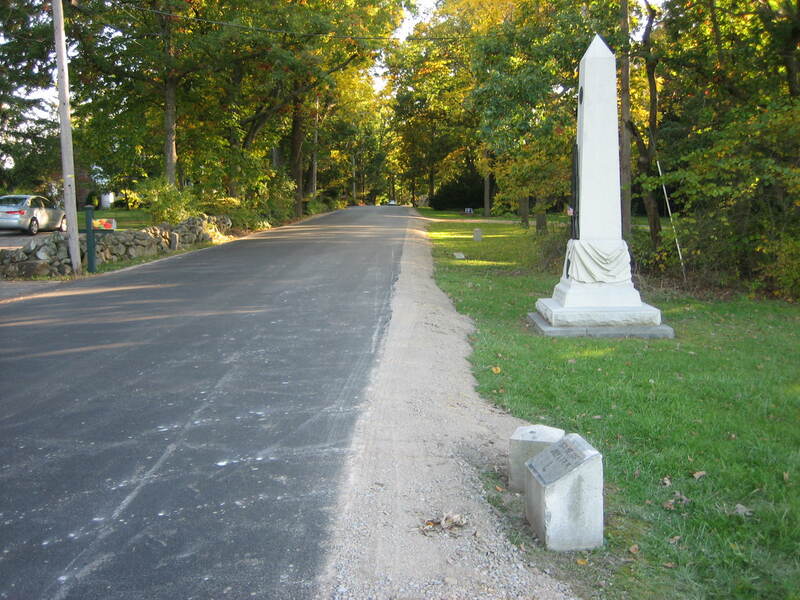 The monument to the 16th Maine is the first granite monument (light colored shaft) on the left of the road. This view was taken from the south facing north at approximately 5:15 PM on Friday, October 10, 2008. 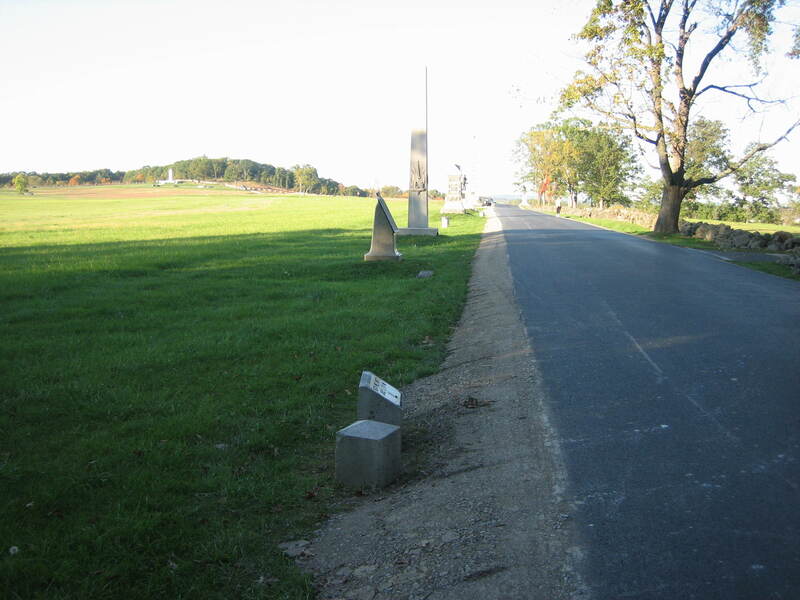 Since the Park Service is allowing vehicles to now park this close to the markers (here to the 107th Pennsylvania, and the 11th Pennsylvania) we are concerned about their future. But today was much better than yesterday. As Abraham Lincoln told William Seward when the Secretary of State wanted to begin a conflict with Great Britain at the beginning of our Civil War: “One war at a time.” This view was taken from the south facing north at approximately 5:15 PM on Friday, October 10, 2008. Great job everyone. Its too bad methods such as those used today had to happen to make the National Park Service do the right thing in an area for which they are responsible. This view was taken from the west facing east at approximately 5:15 PM on Friday, October 10, 2008.